Targeted herniated disc exercises are one of the best herniated disc treatments if your goal is to permanently heal a herniated disc. The trick is knowing what kinds of exercise will help your herniated disc – and not make matters worse. I’ve helped hundreds of thousands of people around the world eliminate their back pain without invasive treatments over the last 15 years — including herniated disc pain. Before I get into the specific exercises, I want to tell you a little bit about herniated discs, as well as three steps you should take before you start any exercise program if you want optimal results. 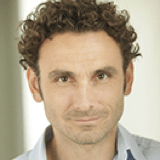 [#1] Do I really have a herniated disc — or could it be something else? What is a herniated disc and how do I know if I have one? Herniated discs, sometimes called slipped discs, ruptured discs or bulging discs, occur when material inside the disc, called the nucleus pulposus, breaks through the disc’s annulus – the tough outer wall. The disc herniates as the disc material protrudes through the wall. Sometimes a herniated disc can cause acute pain when the disc material hits a nerve root. 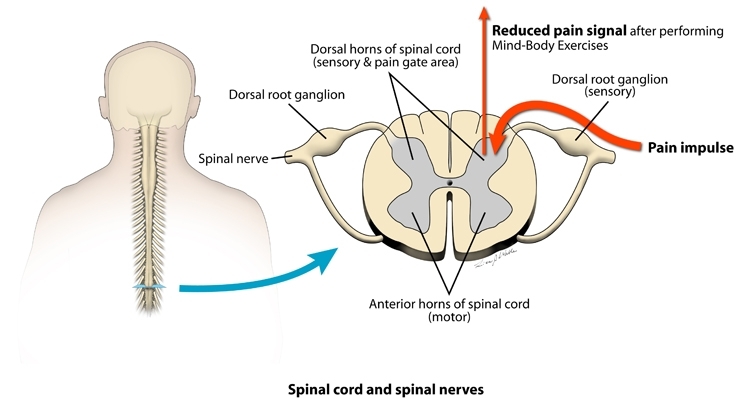 Symptoms of a herniated disc can vary dramatically, but is most commonly associated with sciatica, when the herniated or bulging disc presses on your sciatic nerve. You might also experience tingling, numbness, neck pain, low back pain or leg pain. Other times, a herniated disc causes no pain at all. In fact, most remain asymptomatic for at least a little while. Imaging tests can tell you for sure whether or not you have disc herniation, but they’re not always necessary (and there are reasons you may want to avoid them). Usually, a medical history and physical examination is enough to make a diagnosis. If you already know you have a herniated disc, whether it’s causing pain or not, you’ll want to make sure you stick to stretching exercises and extension exercises that won’t make the problem worse. Key takeaway: Herniated discs don’t always cause pain, but the wrong exercises could make your condition worse. If you’re in major pain or are experiencing weakness, you’re probably not going to want to exercise. That’s why it’s important to follow these three steps first. I’m not a fan of Big Pharma’s pain medications, but you’ll want to do something to take the edge off before you start exercising. Instead of pain pills, I recommend a combination or natural painkillers (the best are proteolytic enzymes) and heat therapy. For optimal results, try a heating pad that uses far-infrared heat technology. It’s important to relieve the spinal compression caused by everyday gravitational forces. I recommend inversion therapy. As little as a 15% inversion angle can make a tremendous difference as gravity gently relieves pressure by pulling in the opposite from normal direction. 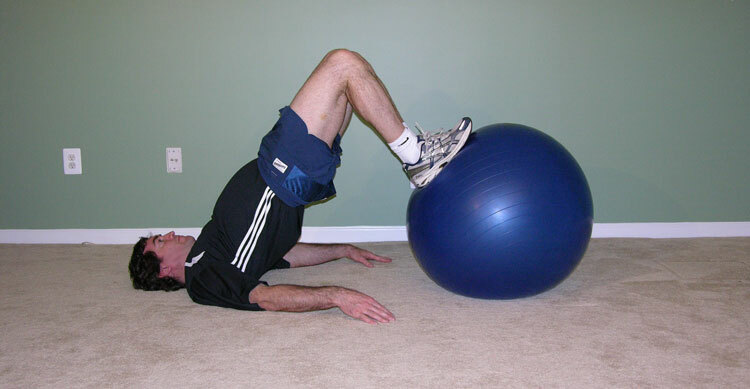 The easiest way to accomplish this is with an inversion chair, but you can also use a large exercise ball. 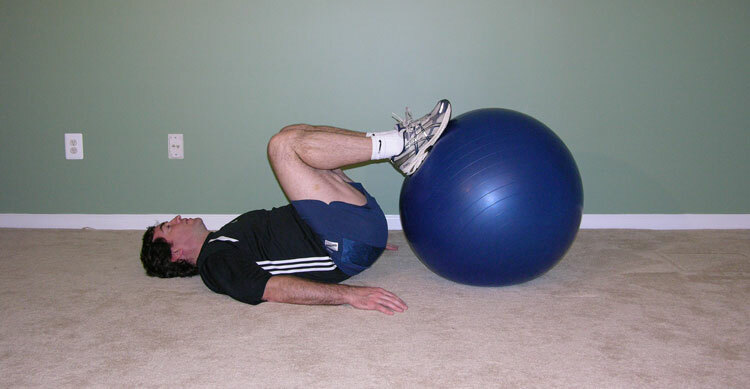 Simply lie across the ball face up, and gently roll back towards the floor. Rest in that position for 10-15 seconds as your spine gently decompresses. This step is incredibly simple: Drink more water (try squeezing lemon into it for added benefits) and take a natural high-grade multivitamin. You want to make sure to ensure your body has the proper hydration as well as the nutrients it needs to repair herniated discs, injuries, and plain old daily wear and tear. Key takeaway: Focus on natural pain relief, spinal decompression and making sure you’re getting enough water and proper nutrients before starting any exercise program. Safe herniated disc exercises during recovery are those that are either very gentle, provide extra support to your body by their nature, and/or are highly targeted to helping your specific underlying problem. Here are six exercises I can recommend if you’re concerned about exercising with a herniated disc. Please note, if you experience any type of sharp pain, discontinue the exercise. 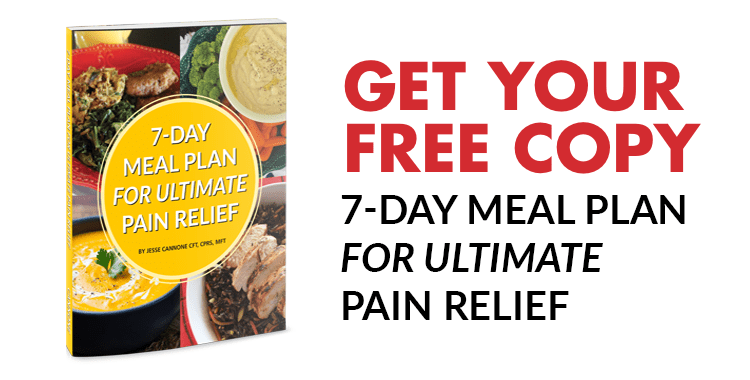 Our goal is pain relief, not pain. 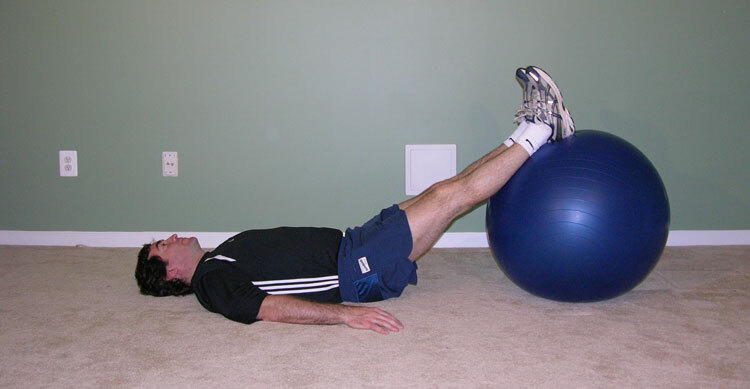 This exercise helps reduce herniated disc pain and pressure. 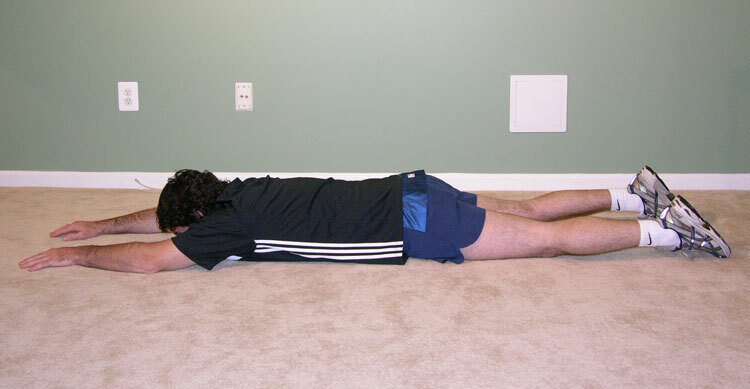 Step 1: Get into a prone position face down on the floor, with your forearms resting on the floor and palms on the ground. Step 2: Gently push yourself upwards until you’re resting on your forearms. Step 3: Hold for 30 seconds, working up to between three to five minutes over time. This exercise may benefit people with pain from a lumbar herniated disc because it strengthens and helps stabilize lower back muscles. Step 1: Lie on your stomach with your arms stretched over your head. Step 2: Raise your right arm with your thumb pointed up, and raise your left leg with your feet pointing down. Hold for three seconds and slowly lower down. Step 3: Repeat with your opposite arm and leg. Repeat the exercise 10 times. Not only will this exercise help stabilize your spine, it will also improve strength in your lower back muscles, hamstrings, and glutes. Step 1: Place your palms on the ground facing forward shoulder-width apart. Place your knees under your hips. Step 2: Stretch both arms out in front of you, squeezing your abdominal muscles as you simultaneously lift your right arm and left leg. Hold for 3-5 seconds. Step 3: Slowly lower your leg and arm. Repeat on the other side, raising your left arm and right leg. Repeat each side 5 to 10 times. This exercise will help strengthen your hamstrings, and the advanced move will work both your hamstrings and glutes. Step 2: Slowly pull the ball toward your bottom. Hold for 1-2 seconds, then extend to the starting position. three times per day when ready. Advanced position: This works both the hamstring and gluts. Begin by pulling in the ball as you did in the first part of this exercise. When you have pulled in all the way simply lift your hips up by pushing down through the ball. Hold for a moment, and then return to the start of the movement. Like the basic move, repeat this exercise 10-15 times, and perform at least once per day. This exercise helps strengthen your lower back, especially if you have a forward tipped pelvis. Make sure that you use the muscles of the lower abdomen for best results. Step 1: Begin lying on the floor, knees bent, and arms at your hips for support. abdomen. Hold for one to two seconds at the top. Step 3: Lower and repeat five to eight times. Perform this exercise at least two to three times per day. 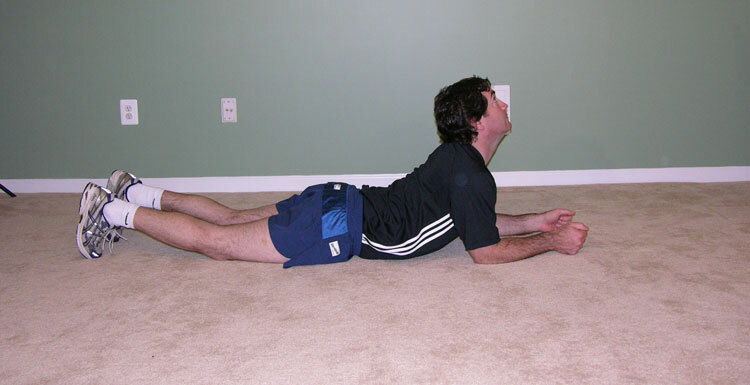 This stretch can help relieve sciatic pain as well as pain associated with a lumbar disc herniation. You’ll need a chair placed against a wall with the seat facing out. Step 1: Rest one foot on the ground and the other on the chair in front of you. Use your right hand against the wall for balance. Step 2: Straighten your back and lean forward over your extended leg. Try to grab your ankle. Note: Only stretch to the point where you feel the hamstring muscle stretch — not to the point of pain! Hold for 15-30 seconds. Step 3: Switch legs. Repeat 3-5 times per leg. Key takeaway: These six gentle stretching and extension exercises can provide herniated disc pain relief for many people. While these great exercises may help relieve herniated disc pain for some people, if you want to prevent its recurrence you absolutely must address the number one leading cause of all back pain – muscle imbalances. In a nutshell, a muscle imbalance occurs when one set of muscles becomes stronger and tight through overuse while an opposing set of muscles becomes weaker and stretched out from underuse. This unbalanced state pulls your skeletal system out of its proper alignment, which leads to all kinds of painful postural dysfunctions. Muscle Balance Therapy™ is a systematic approach for identifying what specific muscle imbalances you have. Then, instead of getting a generic set of exercises and stretches, muscle balance therapy gives you targeted exercises to strengthen your underworked, weak muscles and targeted stretches to loosen up those tight, overworked muscles. By eliminating your muscle imbalances with the provided stretches and exercises, herniated discs are able to resolve naturally and excess pressure from the related postural dysfunctions help prevent future herniated discs. 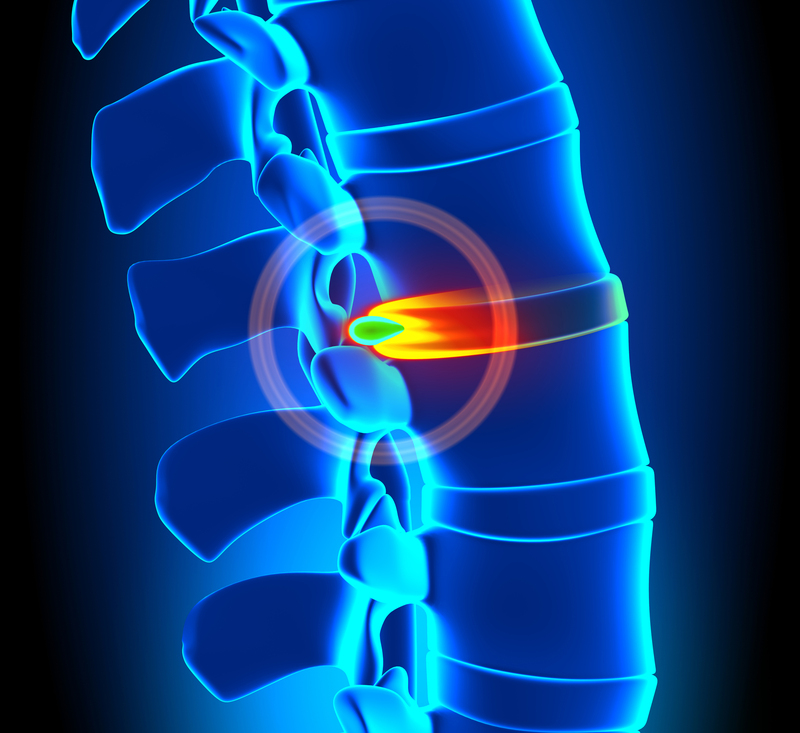 Herniated discs occur when the disc material breaks through the disc’s outer wall. Not all herniated discs are painful. Don’t jump right into an exercise program; make sure you relieve pain, reduce pressure, and are hydrated and getting enough nutrients in your diet first. 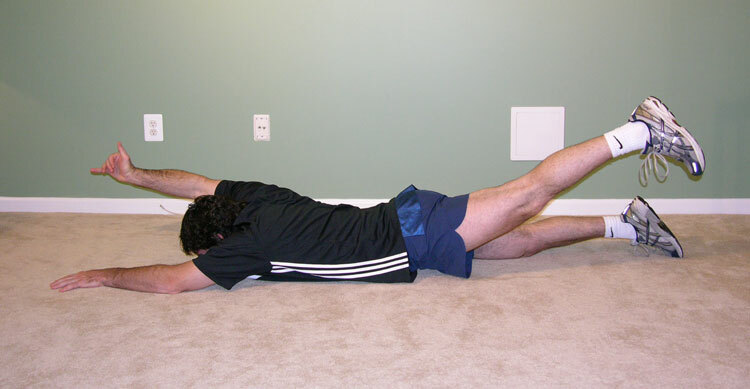 Simple stretching and extension exercises provide pain relief for many people. Although these general exercises may be helpful, you can only get lasting relief when you address your muscle imbalances. The fastest way to eliminate back pain — no matter its cause — is understanding all the underlying factors that contribute to back pain. Taking exercise regularly is a very effective idea to get relief from disc problem.This article mention different exercises, pain relief creams,yoga,therapy for the treatment of this disease.If you are suffering from disc problem then you have take rest.Rest is very necessary for this disease. Will the proteolytic enzyme help to get rid of bone spurs? I once had bone spurs on both feet and was told that I needed surgery on both feet. I couldn’t afford to be off work for 4 months, or possibly longer, since the surgeries would have been staggered, not at the same time—so I hobbled around for 2 1/2 to 3 years, taking supplements and visiting a chiropractor, soaking in hot Epsom salts water, massaging my feet at every opportunity, using numbing creams on foot skin, and buying too-large shoes, then padding them so that the bone spurs would be down in a cavity, so as to relieve pressure on them. A few years later the same foot doctor x-rayed my feet after something dropped on them and found no bone spurs, so they must have somehow dissolved? I had so many other aching muscles and joints that I frankly hadn’t noticed when the bone spur pain left. Does anyone have any idea how the bone spurs disappeared? Maybe I’m using the wrong search words, but I’ve not found anything applicable to my situation. Now, our beloved Belgian Malinois guard dog has bone spurs and is having a difficult time walking. Might these proteolytic enzymes help her? She weighs about 65 pounds, so half of an adult dose? Any clues, anyone? I thank you in advance. Best wishes. Wow! Thanks for the information and for providing these tips! Such a big help for recovery. I’ve already healed the major herniations. I read your material and the work of others and worked my way through it. It was excruciatingly painful and took several years to fully heal. This was the worst of several similar injuries. Now, I am dealing with serious degeneration of the lower three discs as well as slight scoliosis, one leg is a little shorter and L4 is pretty much gone. I can work and exercise and do almost everything, but I need to do frequent decompression and alignment exercises. What resources or advice do you offer on the ideas of disc regeneration? Stem cell therapy sounds interesting, but I currently just work with the basics of nutrition, hydration, and movement. I walk and work and try to do my yoga, but I still sit too much. No more snowboarding the moguls and I have to be very careful working out with heavy weights.